Acquarella Moisturiser is a lightweight, non-greasy moisturizer, designed to work together with Acquarella water colors. Non oily, unscented and vegan (not tested on animals) moisturiser improves skin condition, moisturises the skin giving moist and youthful glow. Massage several drops into dry skin to moisturise, soften and protect. Acquarella Moisturiser may be applied before and after a manicure or pedicure. 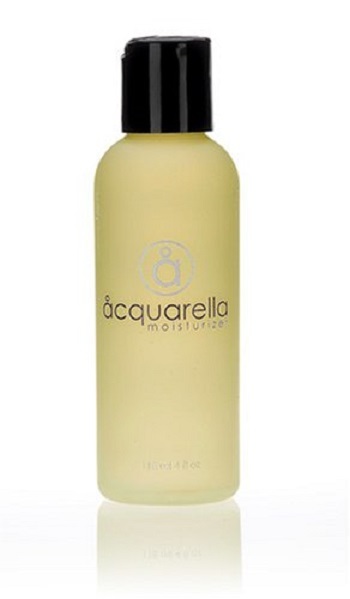 Acquarella Moisturiser can be used on hands and other dry skin areas after bath or shower. Color of this product varies due to harvest of Aloe Vera. It is perfectly fine, dark or light. Non Oily, Unscented and Vegan Water Based Moisturiser.